I described these as having an abundance of chocolate. They also have an abundance of goodness. These are some of the best cookies I’ve ever baked. Coming from a cookie-aholic like myself, that’s really saying something. The beauty of these cookies is that they have very simple ingredients – mostly chocolate & nuts – combined for a HUGE impact. It’s sort of a brownie meets cookie situation. Bittersweet Chocolate Chips, Peanut Butter Chips, Walnuts, Pecan Halves, Eggs, Butter, Flour (Regular or GF), Sugar, Vanilla, Instant Espresso Powder, Baking Powder, and Salt. 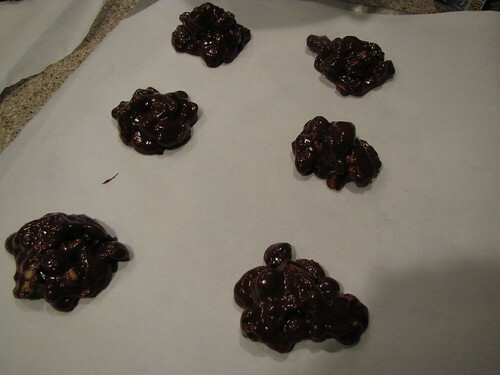 You will also need Parchment Paper (not pictured) to line the pans. These cookies will stick and break without parchment or a silicone liner. 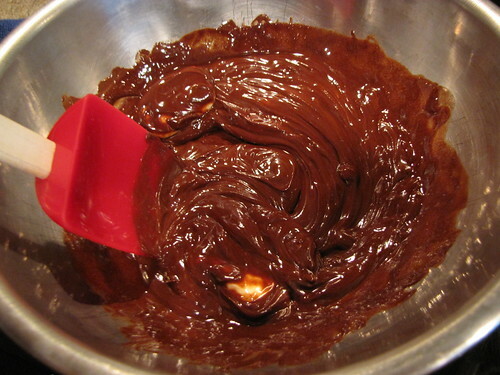 To melt the chocolate, you need to make a double boiler. All this means is that you find a medium sized pot and fill it with an inch or so of water. 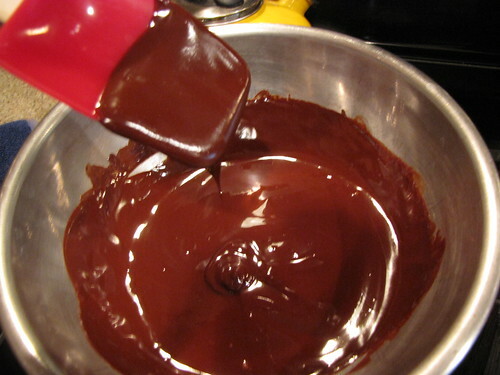 Find a bowl that fits on top of the pot for melting the chocolate. If you have a choice, choose a bowl just slightly larger than the pot so that you can get a good grip on it for stirring the chocolate and also so you don’t accidentally steam your fingers when the water below starts simmering. 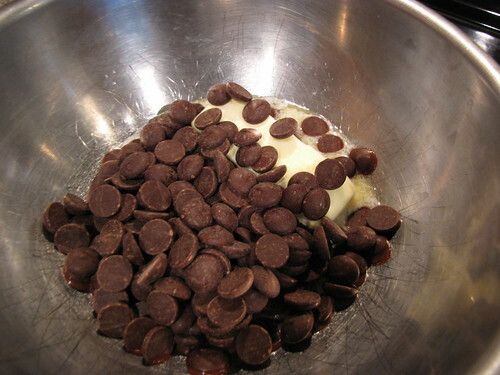 Place 8 ounces or 1 cup of the chocolate chips in the top bowl of the double boiler with 6 Tablespoons (¾ stick) of butter. 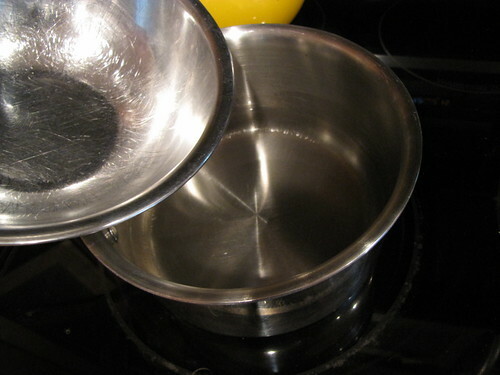 Bring the water in the bottom part of the pot to a boil over medium high heat, then reduce the heat so the water continues to simmer. and become very smooth and silky. This takes only a few minutes. 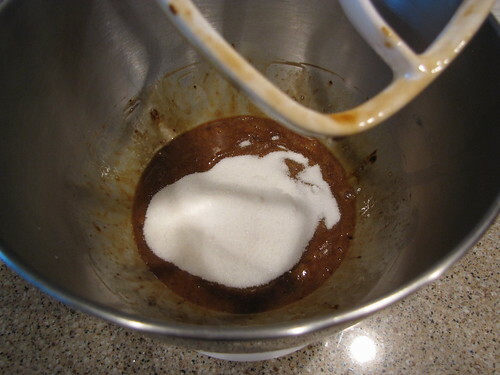 If you don’t have a double boiler, you can also melt the chocolate and butter in the microwave. 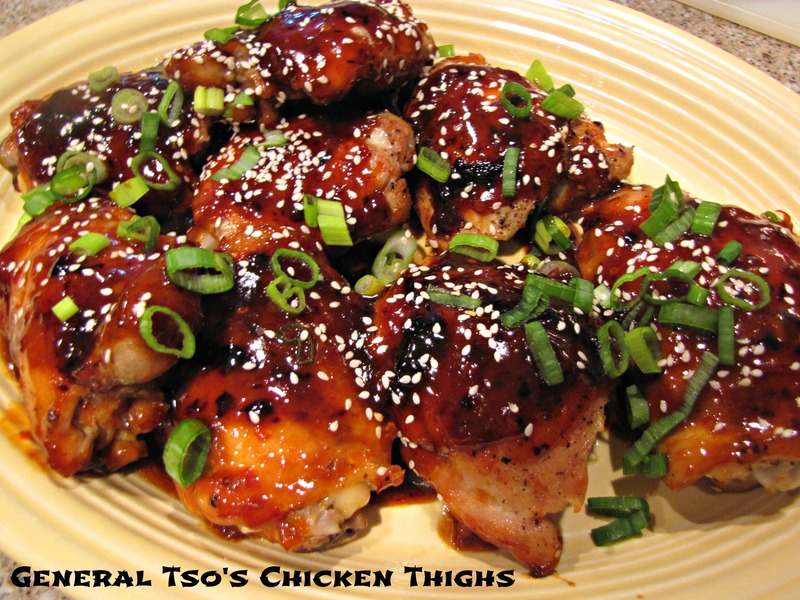 Put them in a bowl and microwave it 1 minute at a time stirring after every minute. 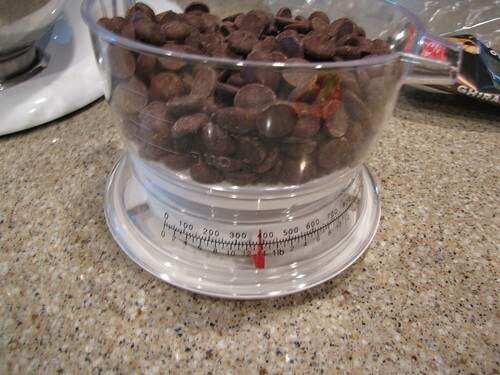 Set the melted chocolate aside and off the heat (take the bowl off the pot of water) to cool for 15 minutes. 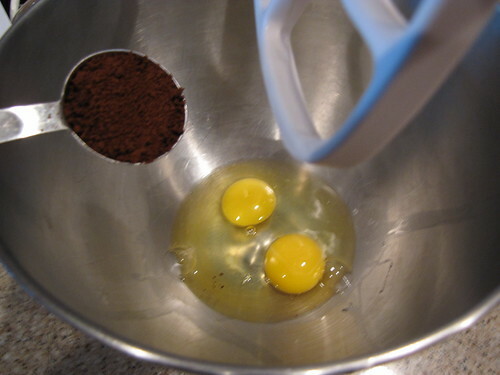 In a large bowl or the bowl of an electric mixer, combine 2 eggs with 1 Tablespoon instant espresso powder. Do you know this trick? 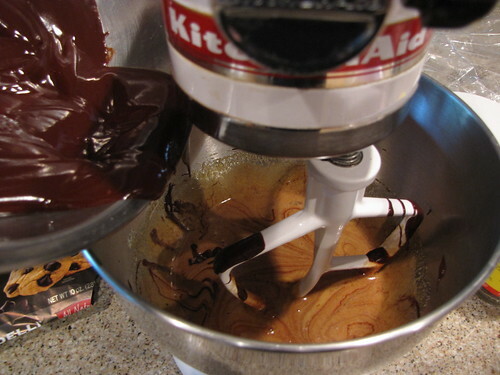 Adding instant espresso powder to anything chocolate totally brings out the chocolate flavor. It does NOT add coffee flavor at all. Trust me on this one. I’m not a coffee drinker but I always have instant espresso on hand for baking. 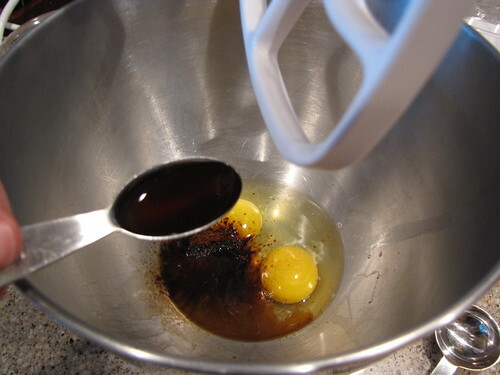 Add 2 teaspoons vanilla and mix to combine. 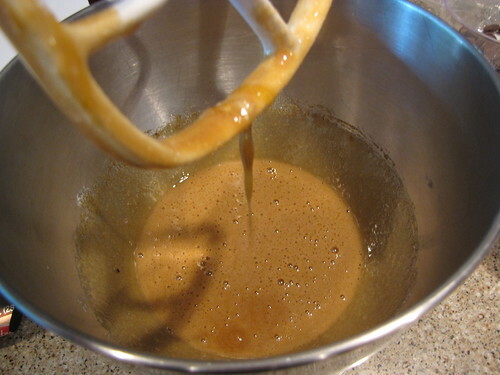 Add ¾ cup sugar and mix on medium high speed for a few minutes until well combined and slightly thickened. You can mix these by hand with a whisk but be sure you really get aggressive with your mixing so that when combined at this stage the ingredients are well mixed enough that they won’t separate. 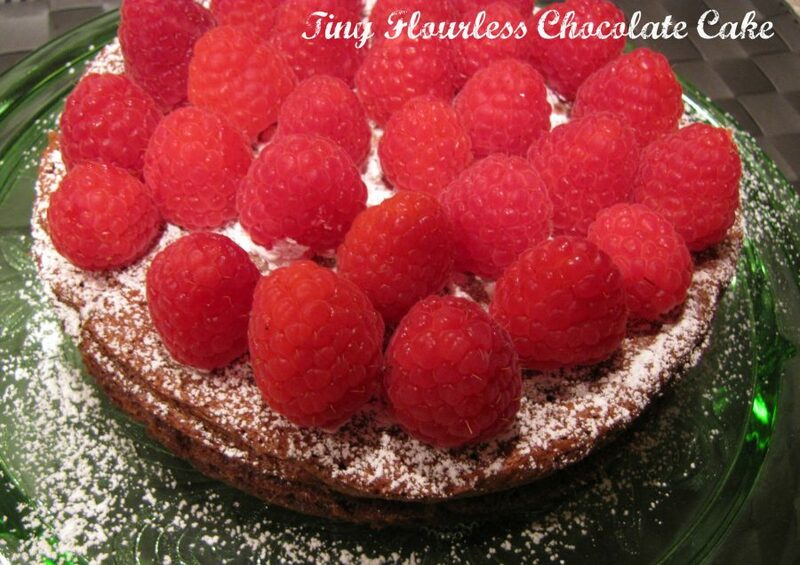 In a small bowl, combine 1/3 cup flour (again either regular all-purpose flour or gluten free all-purpose flour…I used Trader Joe’s) with 1 teaspoon baking soda and ¼ teaspoon salt. 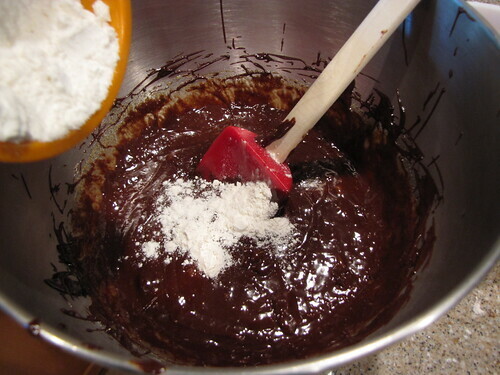 Once the chocolate has cooled a bit, add it to the egg mixture. Stir on low speed to combine. Don’t skip the cooling step. If you add hot melted to chocolate to eggs you will get some weird scrambled thing that no one wants. 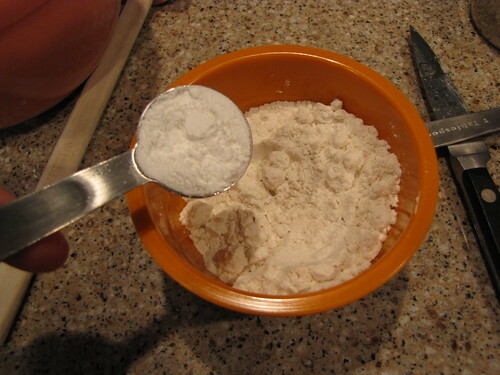 Remove the bowl from the mixer and stir in the flour mixture by hand. Stir only until combined. Now for the good stuff! 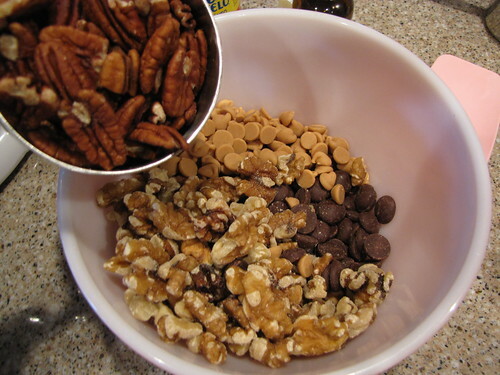 In a medium bowl, combine the remaining 1¼ cup chocolate chips, 2/3 cup peanut butter chips, 1 cup walnuts, and 1 cup pecan halves. Keep the nuts whole. Don’t chop them. 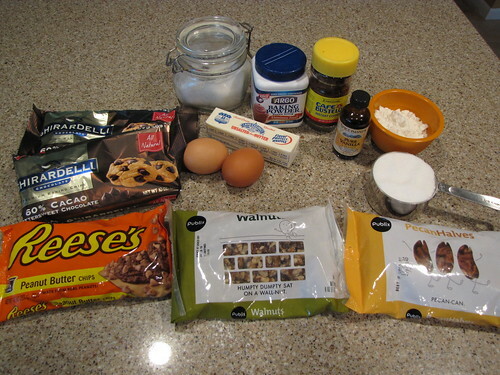 The big chunks make these cookies extra special. 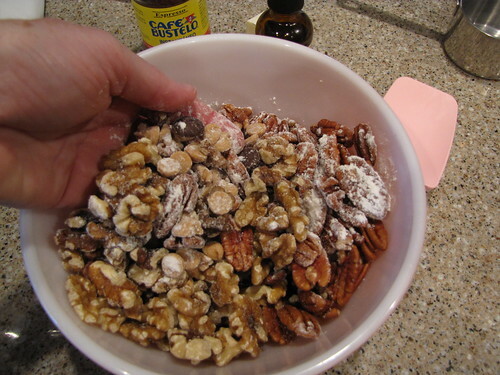 Add 1 Tablespoon of flour to the nuts and chips and toss them together with your hands to coat. 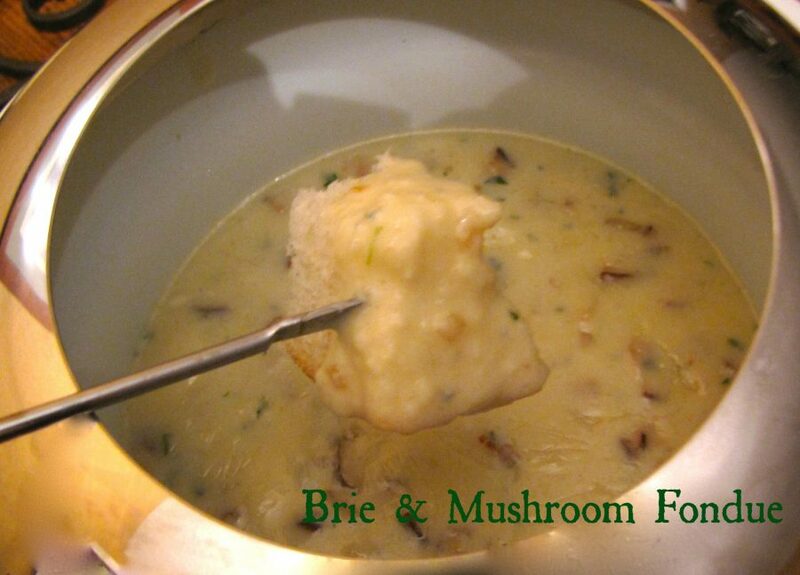 This keeps them from sticking together and also keeps them from all settling to the bottom of the batter. 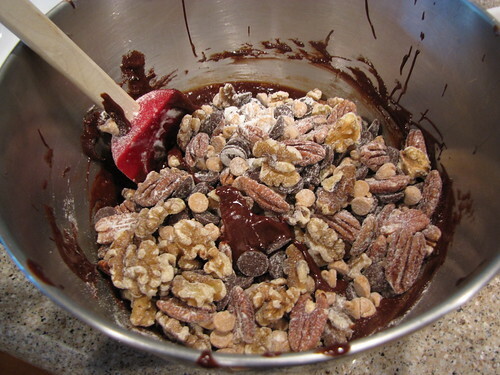 Gently stir the nuts and chips into the chocolate batter. 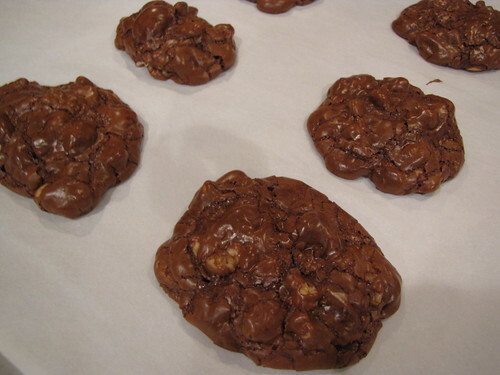 Using 2 big spoons or a medium sized cookie scoop, spoon out blobs of the chocolate dough onto parchment lined baking sheets leaving at least 1 inch of space around each cookie. I used one of those spring loaded ice cream/cookie scoops that was just slightly less that 2 inches across. Bake at 325 degrees for exactly 15 minutes. Cool the cookies completely on the baking sheets. 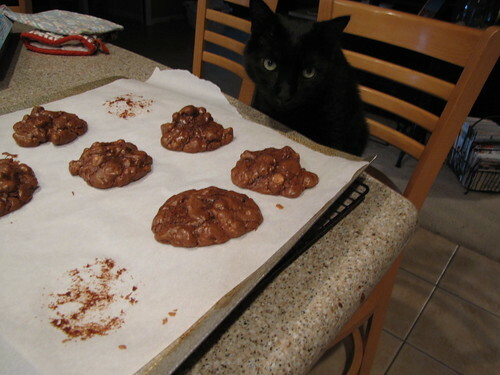 You can see that 2 cookies have been sampled by the humans and Gus, who normally is the “good” cat, is thinking about trying one himself. How’s that for a guilty face? Don’t worry, I took one for the team and ate the one that the cat touched. Simply put, I love these nutty chocolate cookies. I’m already thinking about what variations I can make next. 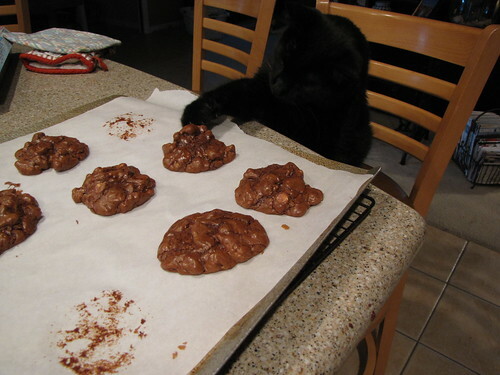 I do not need cookies, I do not need cookies, I do need cookies, I do. haha, what a lovely, nutty mess! 🙂 YOUR BEST?!!!!!! ACK!!! 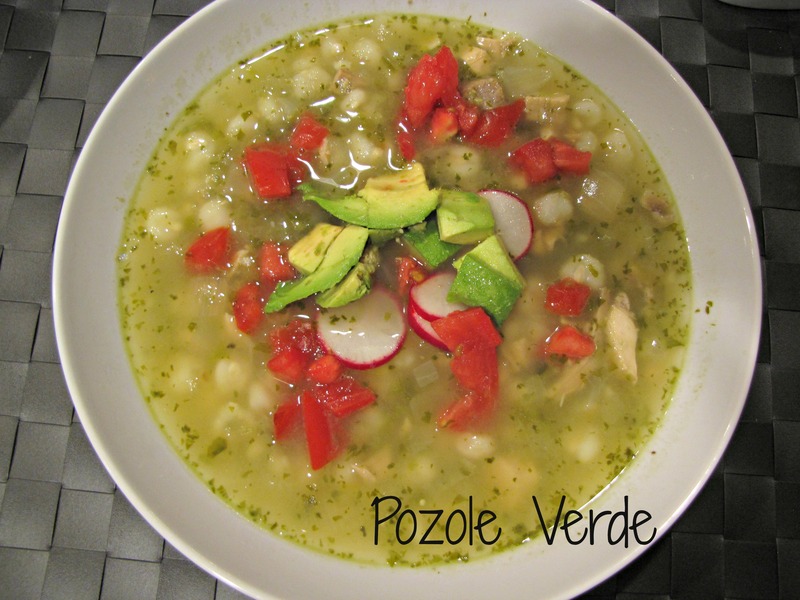 I made 2 mistakes in the printable recipe and shopping list. They have been corrected now so please be sure if you printed the recipe before, you reprint it so you have the corrections. Sorry for the inconvenience!